Yes, it's true. Our baby girl is not just "Baby Girl". She has a name. Wanna know what it is?? TOUGH. We're keeping it a secret. That's right. You all have to wait 3 more months to find out!!!! HA! What a fun game this will be for us! 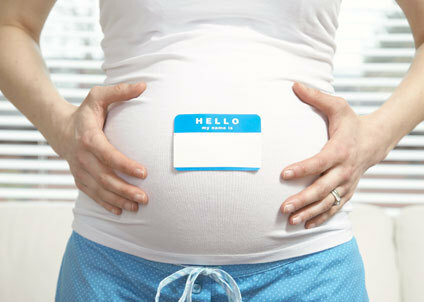 It is a beautiful name that we actually came up with long before we were pregnant. We had a list of names once we found out we were pregnant, but this name always came to the top of the list. And after months of praying, we just really felt like that is HER name. The name God picked out for her. A beautiful name. Believe me, I can't WAIT to share the name with you all, because that will mean she is in my arms and not in my belly! So, give me some guesses. What do you think her name is??? It's not Gertrude. That's your only hint.